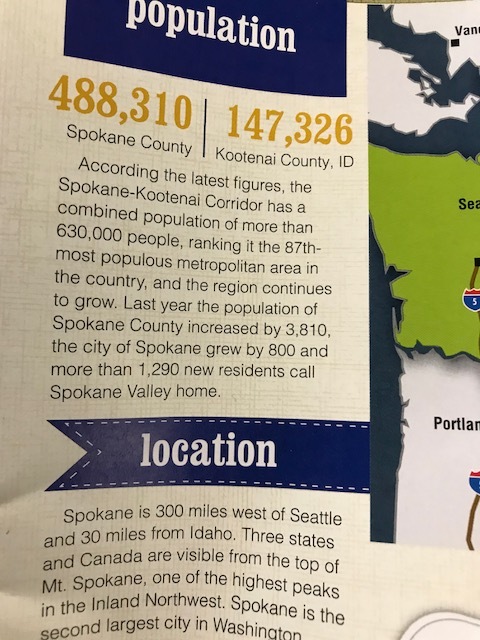 Tue., April 17, 2018, 12:40 p.m.
My friend Chris Powell was getting a haircut when he noticed this locally produced business-promoting publication placed Spokane 300 miles west of Seattle. Seems like we would get pretty wet. Posted April 17, 2018, 12:40 p.m.